For a moment, imagine that you live in a technological utopia. Not one with flying cars and holograms, but one that could exist using only the tech you already own right now. Imagine if the phone you check social media on when you wake was seamlessly integrated with the laptop you use at home, as well as the desktop PC you use at the office. Imagine if they all ran the same apps, shared the same files, and held the same data. You could answer a phone call or text on whichever you wanted, and could control them all remotely with the press of a button. Even the voice assistant you call to while cooking dinner could be plugged into the same system. That’s not the world we live in today — but Google, Apple, and Microsoft are doing their best to create it. The fragmented worlds of mobile and desktop operating systems must be unified, and when they are, it’ll be a watershed moment in computing. Good news: That moment’s not as distant as you may think. Today, getting your phone and your laptop to be friends is like forcing a conversation between people who speak different languages, a topic of discussion when we spoke to Trond Wuellner recently. He’s a project manager on Google’s Pixelbook, a 2-in-1 laptop that tries to bridge the gap between desktop and mobile. Wuellner’s correct. Mobile operating systems and desktop operating systems are not cut from the same cloth; one was designed for touch, one for a mouse and keyboard. That may be true, but it’s not as easy as porting mobile apps to a laptop or strapping a keyboard onto a tablet. 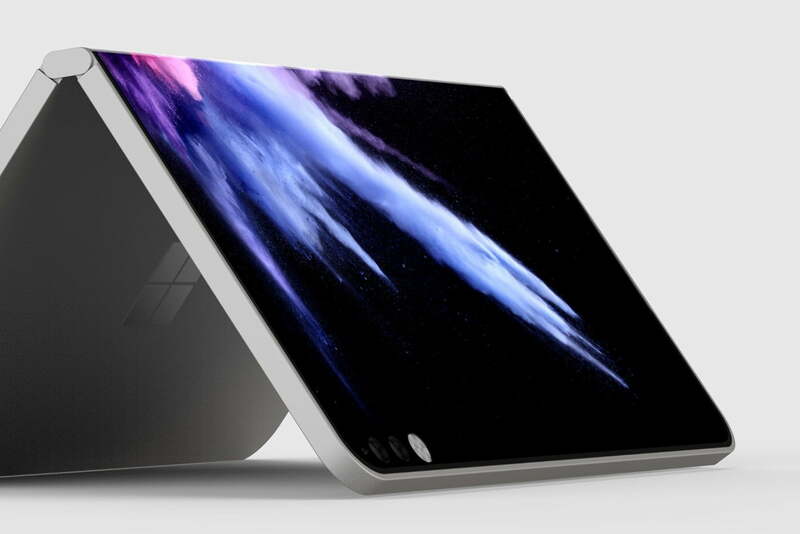 Products like the iPad Pro, Surface Pro, and Pixelbook have tried that, and none have held up as a truly unified device. What we need is a complete reset — an operating system built from the ground up for multiple devices and form factors. It needs to be flexible and contextual in a way that the current devices aren’t. It’d need to function fluidly regardless of what kind of computer or input devices you use with it. In fact, it might look something like Windows 8. Apple and Google have been sidestepping the problem for years by focusing on their own segmented product lines, but in 2012, Microsoft tackled it head on. The ill-fated experiment may not have achieved much success, but it was a recognition of the problem and a clear swing at solving it. The best web experiences were redesigned from the ground up to work well on mobile and desktop simultaneously. 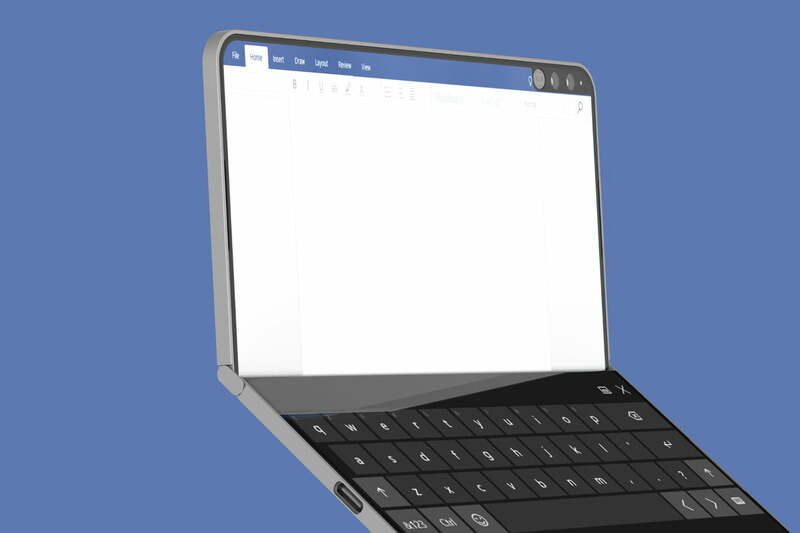 Microsoft imagined a future where every device had touch capabilities, and one where no one would miss the traditional interfaces of Windows 7. Unfortunately, it was a bit ahead of its time. Desktop users didn’t see any benefit to relearning everything they’d ever known about Windows, and while it looked the same across mobile and desktop, it didn’t quite work like a single operating system. Windows 8 didn’t go far enough. There is, however, another source of innovation that’s enjoyed far more success. The web. Windows 8 was a complete refresh of the desktop interface, emphasizing large touch-friendly icons and hiding elements people were more familiar with. Rewind a half-decade and websites were mostly static. Pull up your favorite site on a 4-inch smartphone, and you were stuck zooming in and poking with frustration at unresponsive links. Pull that same website up on your 28-inch monitor, and you’d find yourself staring at gobs of blank space. Since then, developers have found ways to translate the desktop web experience into something that makes sense for touch-based controls without sacrificing usefulness on large desktop displays. Websites are built to know what kind of device you’re using and adjust accordingly. The best web experiences were redesigned from the ground up to work well on mobile and desktop simultaneously. That’s the web of today, and it’s also a blueprint for the future of computers as a whole. At Build 2018, Microsoft’s CEO Satya Nadella spent a lot of time talking about the current reality of our need for a unified operating system, as well as what the company was doing to solve the problem. Microsoft’s current answer is to focus on cloud services, which can be accessed and used regardless of what device you’re on. Meanwhile, behind the scenes, the company is actively redesigning Windows to extend well beyond your PC. We don’t know the details yet, but the company is said to be pursuing an idea it first explored with Microsoft Courier back in 2009. 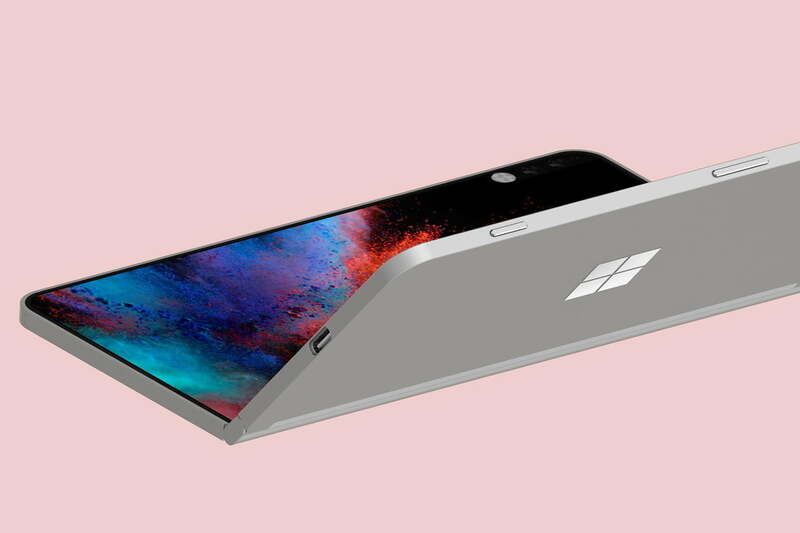 Today, it’s being referred to as the Surface Phone – though that’s an unofficial name given by fans. 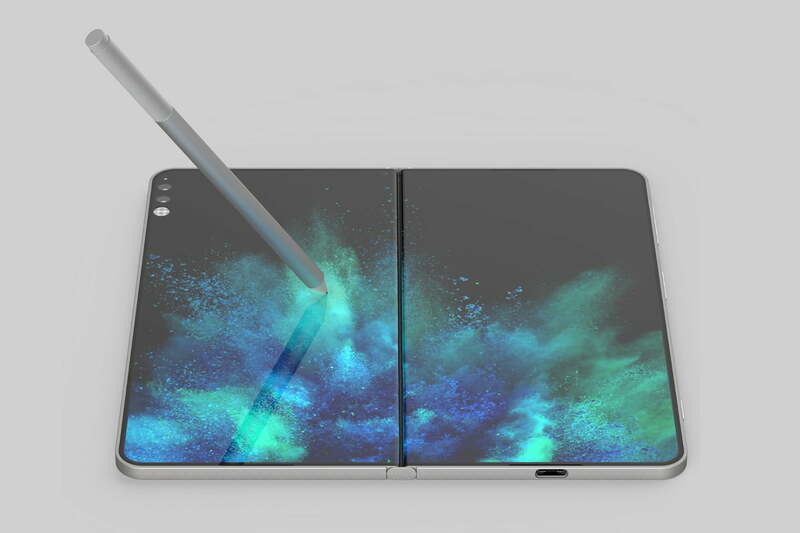 Whatever the final product might be called, patents show a notebook-like device that uses the stylus Surface products have become known for. Whether it’ll work as a phone, like its nickname suggests, isn’t clear; concepts show a wide variety of sizes, so Microsoft itself is still experimenting. The Surface Phone is not just a hardware project, of course. It’s rumored to use an operating system called Windows Core OS, which is based on the Windows 10 shell. Again, Microsoft is picking up where it left off with Windows 8, dreaming of “One Windows” that works on platforms ranging from the Xbox to the Surface Phone. Microsoft isn’t going to be replacing Windows 10 soon, but it’s certainly planning to extend and modify it to work on other platforms. Microsoft isn’t the only company patenting a dual-screen device. Despite what it says to the media, Apple is also interested in developing a modernized laptop that ditches the keyboard. According to a handful of new patents from Apple, the company wants to expand the Touch Bar across the entire deck of the MacBook Pro. This will make touch controls readily available on its laptop, laying the foundation to intertwine the functionality of iOS and MacOS. Add in the framework for universal iOS apps, and you’ve got something that sounds an awful lot like merging its mobile and desktop operating systems. When the likes of Microsoft and Apple are headed in the same direction, you know a true watershed moment is in the works. Google has been transforming Chromebooks into touch-friendly devices for over a year now, slowly bringing features from Android to the mobile apps it now supports. It’s only a temporary solution. Google’s real solution has been in the works for years now; brand new operating system called Fuchsia. Fuchsia has been built to go beyond the boundaries of mobile (Android) and desktop (Chrome OS) platforms — or, perhaps, converge them in a more meaningful way. Although it’s bare-bones, Fuchsia gives us a peek into one possible future. Recently, a developer posted a browser-based demo for Fuchsia with Google’s publicly available code over on GitHub. There’s not much to do (or even much to see), but it’s our first real look at what Google has been working on behind the curtain. To do it, Fuchsia doesn’t just add elements from each. It reimagines some of the basic structures of traditional computing like windows, multitasking, and opening apps. It’s built around fullscreen apps, like a mobile device, but gives you a clear view of what apps you have open, similar to MacOS’ multi-desktop view. At center of it all is an amorphous Google search bar, which can do everything from open local apps and files to search the web. This is the future of computers, and it’s not as far off as it might seem. A button in the top left corner of the screen lets you move back and forth between a smaller smartphone screen and a larger laptop screen. That essential elemental responds to different display sizes just like a responsive website would. As it stands, Fuchsia won’t convince anyone to leave iOS or Windows 10 behind, but it’s taking the need for a unified operating system seriously. This is the future of computers, and it’s not as far off as it might seem. All three companies see the problem at hand and are doing everything in their power to be the first to solve it. But when the future comes, it won’t be all sunshine and rainbows. With the conveniences of a unified operating system come the added difficulty of escaping them. With only three companies in the race, the real walled gardens won’t be built around devices, but between the ecosystems of Google, Apple, and Microsoft. Leaving one for the other, or for a new competitor, is bound to be a painful experience. If you think moving from iOS to Android is difficult now, just imagine doing that when your entire digital life is tied into it. For good or for bad, this watershed moment is coming — and it just might make us look back at the iPhone as the first drop in a much larger deluge.